We had taken an all night train ride from Giza . The arrival in Luxor was met with an empty stomach and the sunrise. It was then we learned that there was no hotel for us for the following night. As is the case in third world countries, our hotel reservations were canceled without notice. I don’t think we ever had any, the hotel we were going to stay in had not yet been completed. The reservations had been made on the assumption that the hotel would be open. It was decided that the only thing to do was to leave our luggage in the lobby of the Winter Palace. With much reservation and assuming that my possessions would never be seen again, that is what I did. We were assured that rooms would be found for us by nightfall, so after a hearty breakfast in the spacious, but sanitarily challenged restaurant, off we went to see the sights of Luxor and Karnak. Having spent the day roaming the streets and not seeing my valuables for sale in one of the local stores, I was pleasantly surprised when returning to the hotel, my luggage was still lying in the middle of the lobby untouched. John and I were met at the door by a fellow traveler who informed us that the manager of the Winter Palace owned a ten room house across the Nile in the Valley of the Dead, if we wanted we could stay the night there. Visions of crystal chandeliers and butlers in white gloves raced through my head, what a deal. As the evening came to a close the adventure was about to begin, returning to the hotel a bellman escorted us to the river’s edge where a small boat waited to ferry us across the Nile, where our room and butlers awaited us! The ferry, something straight out of the African Queen , was extremely crowded with standing room only! Landing on the other side, it was only a short ride in a super sub compact car to our hotel. As we pulled up in front of the hotel, all my visions of chandeliers and butlers vanished! This place looked like a condensed version of the Alamo! All the rooms were taken, we all had to split up, it would be boys with boys and girls with girls. I, being the odd man out, was chosen to share a room with a young English blouk. It was getting late, another surprise awaited me , the door opened there was my bed, a twin sized cot, with a large cat lying on a mattress that can best be described as “highly inadequate”. The cat immediately made a bee line for the door while the manager tied the shutters on the window with a rope. That will keep that pesky cat out, not to mention serial killers and thieves. Placing my camera bag and gear under the bed and next to the wall, I placed the strap around my arm, knowing that I was safe from thieves and marauding cats, I settled in for a night of undisturbed sleep. Sunup brought a surprise, I had survived the evening. Time for a shower, shave and breakfast on the sun lite patio! Plumbing in Egypt is rather crude, entering the community bathroom , I noticed the pipe that supplied the lavatory with water was too short, water ran all over the floor instead of into the sink, not our usual custom in the states, we are sooo spoiled! We are going back to Cairo this evening, I think I will wait to shower and shave until tomorrow. After a pleasant breakfast on the patio, I realized we were across the street from the Habou Temple, what a surprise. It was darker than a black cat in a coal bin last night and no one saw it! A day of visiting the Valley of the Kings and Valley of the Queens was awaiting as we eagerly boarded our bus,then it was back to the Hotel Habou where the rest of the group would be joining us for dinner, after enjoying a nice meal it was a short ride across the river to the station, our train was waiting to transport us back to Cairo. It had been quite an experience, quite unexpected, whenever I think of Egypt , the Hotel Habou comes to mind, along with the warmth and hospitality shown by the Egyptian people. Zihuatanejo was a vacation destination for a Tarashan King named Calzonin. He would often travel here with his wives, helpers and a few bodyguards to enjoy the sun, sand and sea, thereby becoming the first known tourist. This town of 40,000 and its neighbor, Ixtapa , being only a short drive from Mexico City, as well as a favorite port for several cruise lines, continues to be a vacation destination for Mexicans as well as travelers from various parts of the world. During it’s colorful past pirates, such as Sir Francis Drake and Admiral George Anson, have used its port as a refuge from storms and more likely to lie in wait for the opportunity to attack the Spanish Armada and the merchant galleon fleet on their way to the Philippines. Many traveling boaters spend the winter in its well protected bay, while enjoying the many amenities available such as dining, sightseeing, visiting ancient Mayan ruins, or simply enjoying the beach and the laid back lifestyle associated with this area. Originally Spaniards called the city ” Ciguatan ” and later added the ending of ” ejo” to refer to a “small place”. Consequently, in old Spanish books, maps, and documents, the city’s is marked as Cigua, Ciguatan, or Ciguatanejo. About 200 years later, the name underwent its final change to Zihuatanejo, as it is known today.Around 1575, many pirates landed in Zihuatanejo to use the bay as a refuge from bad weather or to trade for supplies with the town people. The most common and profitable reason for their visits was to use the bay as a hiding place for attacks waged against the Spanish Armada and merchant galleon fleet on their way along the prosperous commercial route to the Philippines by way of Mexico. Among these privateers were Sir Francis Drake and Admiral George Anson. In recent years with the discovery of many ancient ruins close to Zihuatanejo (including a big pyramid still underground). Many relics and carved stones in nearby Petatlan scholars are speculating that this area at one time had a very important Indian civilization. Until the early 1970s, Zihuatanejo was a sleepy fishing village with only a handful of families and residents. It was then (and continues to be) a favorite getaway for Mexican vacationers and adventurous foreigners. Zihuatanejo’s main attraction is its well -protected bay where traveling boaters often spend the winter months moored in its peaceful clear waters. The bay offers various beaches for relaxation, recreation, dining, or simply enjoying the abundantly beautiful scenery and laid-back local lifestyle. Matriarchies and various troubadours can usually be found at all the beaches and restaurants and will serenade you to romantic splendor. They can be hired for private events or simply serenade a loved one (an old tradition here). Their music fills the air like the scent of fragrant flowers. So please leave your boom box at home. Be sure to ask for the song (Zihuatanejo. )The pace in today’s Zihuatanejo is very relaxed during the daytime and peaceful at night. Restaurants and water sports including fishing and scuba diving are there to complete a vacation. The airport is located about 8 miles and 20 minutes from downtown and 15minutes from Ixtapa. 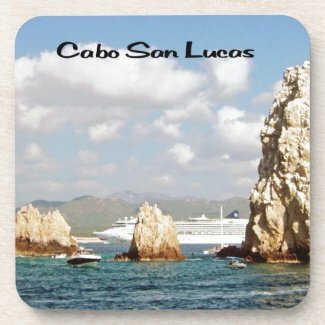 Seafarers have long been attracted to the shores of what is now called Los Cabos . Beginning in the late 16th and early 17th century notorious pirates such as Sir Francis Drake and Thomas Cavendish hid out in the many coves and bays lining the coast to ambush the Spanish Galleons on their way to the Philippines. Later, Spanish missionaries attempted to convert the Guaycura and Pericu natives to Christianity. However, by the early 1800s, the missionaries had all vanished as the Spanish soldiers and disease had decimated to population. After the missionaries left the areas rocky spires and arches remained virtually unnoticed until after World War 11, when Hollywood discovered the area. Such dignitaries such as John Wayne and Bing Crosby frequented the area to enjoy the sport fishing off the southern coast, which had earned the name “Marlin Alley”. The area remained difficult to reach until the Mexican Government built the Transpeninsular Highway which connected the area to Southern California, as well as the rest of North America. It is now one of the most popular destinations in Mexico. It features fine beaches, luxurious surroundings, lively nightlife, and some of the best sport-fishing in the world. Sedona is one of the most beautiful and mysterious areas in the world. There are four major energy vortexes in the area. Bell Rock, Airport Mesa, Boynton Canyon, and Cathedral Rock. A vortex is a power spot where large amounts of energy is emitted from the earth, there are many vortexes on the earth, but Indian legend states that there are only four major areas, two positive, Sedona and Kauai, Hawaii, and two negative , the Bermuda Triangle and Sussex County in England. They are not positive and negative as in good and bad, but as in a battery, as there is no good or bad, that is only in the human mind. The beauty of the area has not been wasted as Sedona has been seen in many old western movies of the 40s and 50s; the area is still used to film videos, commercials, and ads for magazines. Many of the Indian legends say that they came from a land to the west and when that land sank they escaped east to the red rock country. Some of the legends describe the land sinking and people getting into boats and sailing east to escape, either that or they envision people after arriving in the new land, standing on cliffs and watching the land to the west sink. Legends state that Lemuria sank four different times, the third of which was 80,000 years ago and the final cataclysm took place 12,000 years ago, which roughly corresponds with many Indian legends from all over the world as the time of a great flood and mass migration of many peoples, our own bible also speaks of a great flood. It also corresponds within the same time frame as the sinking of Atlantis. All in all it is a very interesting and beautiful place to visit, being within driving distance of the Grand Canyon and the Petrified Forest, there is plenty to keep someone busy for several days. Letting go of judgement really takes a shift in perspective. There are 360 degrees of everything that exists on this planet. So whether you’re looking at a flower or a human being, there are 360 different ways to view it. Unless you’ve explored every angle, there’s no way you can totally know that object or person. And without knowing everything about someone, you can’t possibly understand the reasons for his actions. So why not be open to that fact? Why waste your energy judging? Acapulco was named by the Nahua tribe, the name means “where the reeds stood” or place of giant reeds” Archaeological finds show that when the Spaniards arrived, people had been living around the bay area for about 2,000 years. The Nahua were conquered by the Aztec empire about a hundred years before it fell to the Spanish conquistadors. By order of Hernan Cortez, Spanish sailors took the Bahia de Acapulco in 1521. Port and shipbuilding facilities were established and it was the jumping-off point for further explorations and conquests, such as that of Peru. It became the only port in the New World authorized to receive Spanish Galleons from the Philippines and China. All this treasure was an open invitation Dutch and English pirates could not resist, and by the 17th century, their ships abounded in the Pacific and along the coastline of Mexico and Baja California. To ward off the pirates, Fuerte de San Diego was built atop a low hill overlooking the bay. Because of the sea port’s strategic importance to the Spanish crown, Fuerte de San Diego became a focus of rebellion in1812 when the discontented population rose up against their Spanish colonial rulers in the war of independence. The royalists were besieged in the fort for four months before finally surrendering to the Mexican troops. As the capital grew, its citizens began flocking to the Pacific coast for vacations. A new international airport was built, and by the 1960s Acapulco was a booming resort, its reputation as a playground for the rich and famous set, often from within Mexico, rather than from outside the country. The city is nestled between the Pacific Ocean and the Sierra Madre Mountains on the other. Along the Costera Miguel Aleman, the cities principle thoroughfare, you’ll find most of the major hotels, restaurants, and shopping centers. You will also find the cultural heart of the city, known to the locals as Acapulco Traditional. Among the sights is the Fort San Diego, which protected Acapulco from Dutch and English pirates in the days of Spanish Rule. Originally constructed in 1611 and rebuilt in 1776 following a massive earthquake. It is a classic five-point fortress surrounded by a moat. Acapulco was fist inhabited by primitive Indians. Later on people of Nahuati stock, the Nahoas, came and settled the area. The name Acapulco derives from the Nahuatl words”acatl” (place of canes). “pol”(to break) and “co” that indicates place. The first “tourist” to visit Acapulco was a Chinese Monk by the name of Fa Hsien. As the legend goes, he arrived in Pre-Historic times around 417 AD, long before Columbus crossed the Atlantic to “discover” America. Beginning in the 50s the area became a playground for the Hollywood set, and such personalities such as Elvis came, visited, and made movies, thus making it a popular worldwide destination for many years. One of the major attractions, the Cliff Divers, continue to be to this day one of the main attractions of the area. This informative Ebook describes alternative methods of making money, often a full-time income in photography even if you have no desire to shoot wedding photography. 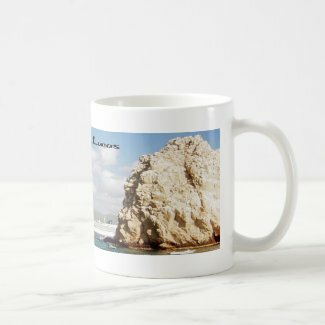 this book gives examples and websites where you can use your photos to supply you with an income, not only to enable you to buy new equipment, but a living income. This article reprinted from an article dated August 2000. At last week’s Democratic convention, two high-profile DFLers–Walter Mondale and Judi Dutcher–portrayed the Democratic Party as a champion of tolerance and open-mindedness. They denounced the Republican Party, by contrast, as the tool of intolerant, narrow-minded bigots, who ruthlessly attempt to suppress dissenting views within their own ranks. Dutcher took a different, more personal tack. Elected as Minnesota state auditor in 1994 on the Republican ticket, she recently became a Democrat. Painting herself as a woman scorned, Dutcher told a national TV audience that– despite her “moderate, mainstream values”–she had been silenced by Republican Party extremists and eventually hounded from the party altogether. She thanked her newfound Democratic allies, by contrast, for welcoming her with open arms. Are Mondale and Dutcher right? Were Democrats really the midwives of America’s greatest civil rights legislation? Was Dutcher actually silenced and suppressed by fellow Republicans? Or are they both rewriting history to advance their own agendas? Tut, tut, Mr. Mondale, surely you know better. The truth is precisely the opposite. It is the Republican Party that overwhelmingly supported passage of both the Civil Rights Act of 1964 and the Voting Rights Act of 1965, while an intransigent block of Democrats did all they could to stop it. The numbers tell the story. The Civil Rights Act of 1964 came to a vote after a 57-day filibuster engineered by Southern Democrats among them Sen. Al Gore Sr. father of the current Democratic presidential nominee. (Gore refused to vote to end the filibuster despite a personal plea from President Lyndon Johnson.) In the face of serious Democratic opposition, only strong Republican support could end the filibuster and ensure that the bill became law. When the final congressional vote was tallied, Republican support exceeded Democratic support by a substantial margin. Eighty percent of House Republicans voted for the Civil Rights Act, but only 63 percent of Democrats. Eighty-two percent of Senate Republicans voted yea, while only 69 percent of Democrats did so. The Voting Rights Act of 1965 played out in a similar fashion. Eighty-five percent of House Republicans voted for the bill, compared with 80 percent of Democrats. In the Senate, the margin was greater: 97 percent of Republicans vs. 74 percent of Democrats. The vote on these two bills followed a pattern set much earlier. In the 26 major civil rights votes between 1933 and 1964, a majority of Democrats opposed the legislation over 80 percent of the time, while a Republican majority favored it over 96 percent of the time. So much for Mondale’s fanciful tale. Is Judi Dutcher’s more credible? I fear not. The facts are very different. The Republican Party invited Dutcher to run for auditor in 1994, despite the fact that her views departed from the party-platform in several important respects. Subsequently, the party enthusiastically supported her successful campaign. In 1998–despite Dutcher’s strong pro-abortion stance, which rankled many delegates–the state Republican convention unanimously endorsed her, and the party again gave her campaign full support. In 1999, party officials invited Dutcher to address the state convention. If this amounts to “drowning out” her point of view, Dutcher must have high standards indeed. Has the Democratic Party exhibited tolerance like this at its recent conventions? Not by a long shot. When Democrats gather, prolife Democrats (among others) are, to put it mildly, personae non gratae. In 1992, for example, Bob Casey, Pennsylvania’s prolife governor, was barred from speaking at the Democratic National Convention. In a snub at Casey, a prochoice Republican–who had supported his opponent’s gubernatorial campaign–addressed delegates instead. This year, convention organizers at last allowed a tribute to Casey: Unfortunately, he had to die first. Casey’s sons were allowed to present a brief memorial, but it was scheduled when few delegates were in the hall, and TV cameras were dark. You say your new party tolerates divergent views, Ms. Dutcher? Then perhaps at your next convention, I’ll see a black Democrat like New York’s Floyd Flake step up to the podium. Perhaps he’ll ask delegates why they allow inner-city children to flounder in failing schools, when they could endorse giving these kids a shot at a real education in a private school of their choice. I don’t think, though, that I’ll hold my breath. — Katherine Kersten is a director of the Center of the American Experiment in Minneapolis. © 2008. Center of the American Experiment. All Rights Reserved.